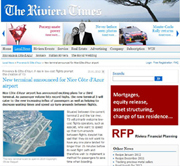 Holiday rentals -Riviera Radio Daily News Friday 18 January 2019 - The mayor of Nice, Christian Estrosi has announced plans to review the regulations for holiday rentals in the region, such as Airbnb. New measures will see the introduction of agents carrying out regular checks to track down fraudsters. 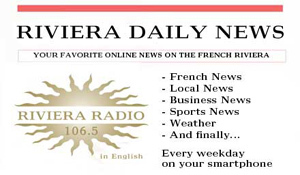 Motorists -Riviera Radio Daily News Friday 28 December 2018 Several changes will come into force for motorists in France on the first of January. Although there is good news with the scrapping of the fuel tax as a result of the yellow vests protests, some owners of the mist polluting vehicles will insurance costs rise. Who is on the royal wedding in Monoaco guest list in July 2011? 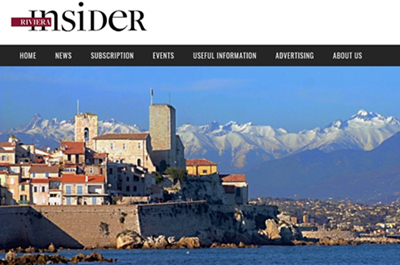 The Cannes Film Festival - le Festival international du film de Cannes is now on. 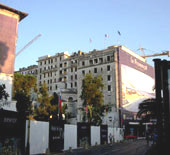 Carlton Hotel Cannes for sale? The peace and tranquillity of this picturesque hilltop village located between Antibes and Nice was disturbed for a few minutes in the late morning of Friday 28th August 09 around 11.00 a.m. Notices had gone up in the village's additional parking zone in Chemin due Jeu de la Beaume, a large area of grass opposite the Biot football ground that a helicopter would be landing to collect a swimming pool. Out of the sky came the red monster that landed and collected a swimming pool that had recently been off loaded from a transporter. A few minutes it took off again with the pool attached to a rope and headed north. Unlike Britain and Ireland, supermarkets and DIY stores remain closed in France and the only shops open were smaller food, newsahents, pharmacies and gift shops. For the past three / four years major supermarkets like Carrefour have been opening on bank holidays and now retailers like Intermarche Bricolage (the DIY part of Intermarche have been starting to open on a Sunday as well. Now three workers in the département of Ain have been sacked after they refused to work on Sundays. 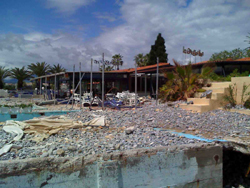 The Independent newspaper correspondent John Litchfield has reported on the 22nd July that Mme Jeanne Augier the owner of the famous Hôtel Negresco on the Promenade des Anglais has agreed that the hotel will be handed over to a charity on her death. The hotel was built by a Romanian entrepreneur, Henri Negresco in 1913 and it was bought by Mme Augier's father in 1957. The 86 old owner wants the property to remain French owned and the Mesange-Augier-Negresco foundation will also take control of her property portfolio in Nice, Grasse and Paris.The Negresco is the last privately owned luxury hotel in France with rooms costing from 290 to 1,880 per night. There are 141 bedrooms and suites and most have sea views over the Baie des Anges. 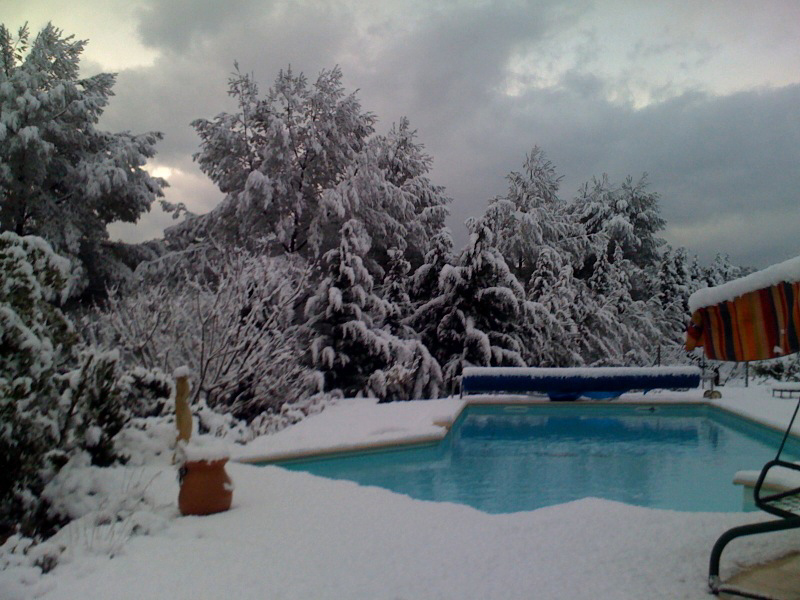 If you own a property in France you should have completed your tax return by the 31st May. The French tax authorities could have sent you the fdecration form "Avis Impôt sur le revenue". They have a specialist department for non resident owners "CDI Non Residents" at 93465 NOISY-GD- CEDEX. If you don't actually let your property, you must not ignore the form, fill it in and send a letter explaining that you don't let the property or have stopped letting it. Drink Drive laws in Italy Update - Take great care if you take the car you rent in the South of France into Italy for the day. Attendance at the world’s largest property summit suffered a 50% year-on-year decline last week, and though this had a detrimental effect on the flow of champers and boat hire, it didn’t stop the parties or dampen enthusiasm about forthcoming property investment opportunities. Delegate numbers at this year's MIPIM summit were reportedly down 50% to around 15,000, which is perhaps unsurprising given the economic climate. This was the 20th annual property jamboree in Cannes in the South of France, which is usually recognisable by its mass of marquees along the waterfront. However, this year the coast was left to the grand dames of Cannes to flaunt their wealth alone. AMB Cote d'Azur reaches the grand age of being five years old! 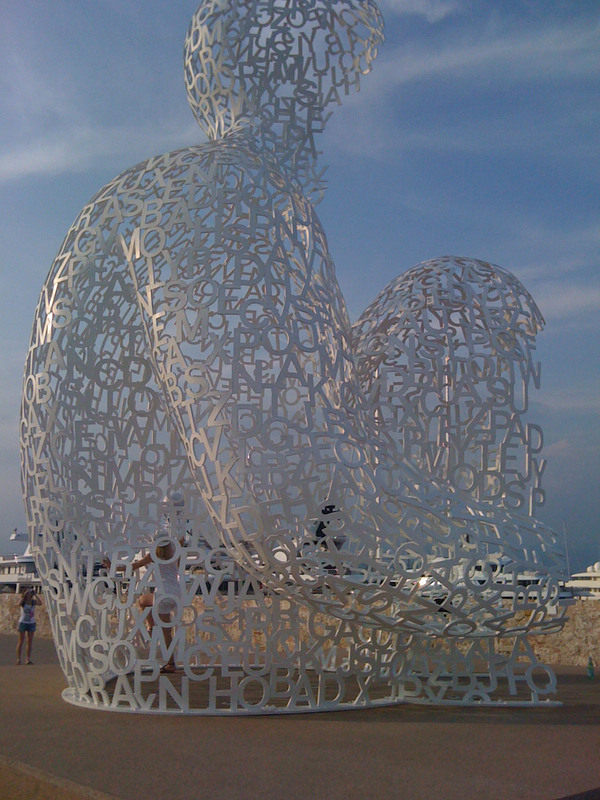 The Nice Carnival (Le Carnaval de Nice ) 2009 takes place from 13 February to 1 March 2009. It is one of the biggest Mardi Gras carnivals in the world. There will be the illuminated corsi carnavalesques (carnival floats) and the famous battle of flowers. The burlesque and poetic parades are a coming together of floats made from papier-mâché or covered in flowers, accompanied by performances from street artists and groups of musicians. The procession is made up of 20 floats decorated according to a theme and about 150 “large heads”; it turns into a colourful parade of dazzling colours into which blend the street artists and groups of musicians from around the world. In the evening, all the floats are illuminated and the procession lights up the whole of Nice. Mike Lorimer steps down as President of the BCC - January 2009 - New president is Dutchman Ab Kuijer. 22nd September 2008 and many of the streets in the pretty hilltop town of Grasse are blocked off as filming has just started in the old town, featuring the arrival of Coco Chanel in Grasse. The film is entitled "Chanel & Stravinsky l'histoire secrète" (The Secret Story of Chanel and Stravinsky). It will star Anna Mouglaiis as Coco Chanel and Mads Mikkelsen (who was in Casino Royale) is to be Stravinsky.Jan Kounen is directing the film. Villa Léopolda at Cap Ferrat in the Côte d'Azur in the south of France sells for €500m / £390m. Environment ministers of 14 countries have agreed in principle to ban the construction of commercial and residential developments within 100 metres of the Mediterranean coastline. The new Integrated Coastal Zone Management (ICZM) was ratified in Almería by the ministers. British and Irish citizens now own 3.81 million properties overseas. 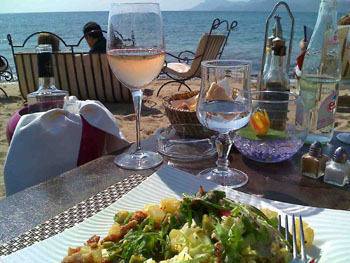 ICM Research finds that many British buying in France are unaware of the need for insurance. 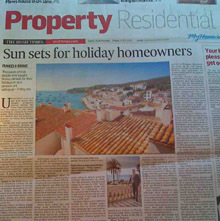 French property prices look set to increase by 6% in 2007 and second home property prices have risen by 19% per annum over last ten years. A report from the national association of French estate agents FNAIM state that re-sale property prices look set to increase by six per cent in 2007. In April the price of apartments increased by 1.4% compared to March 2007. Although prices for non-new build houses remained almost at a standstill with only an increase of 0.1%, jointly property prices have registered a year on increase of 1.3% during the first three months of 2007. These increases are not as high as in 2006 when they rose by 7.2% ,10.9% in 2005, 15.5% in 2004 and in 2003 14%. Research has found that London residential property is the most expensive in the world - It has now overtaken Monaco - Cannes is 6th, St Tropez 7th and Paris is in 9th place. The signs at entry points to Monaco have also been added in Monacan - Principatu de Múnegu - Mune Carlu have been added. The Comité des Traditions Monégasques have arranged these in order to emphasize Monacan identity and heritage. Delta Air Lines now has a non-stop scheduled flight between Nice and Atlanta, USA and Sky Europe starts a service to Prague in the Czech Replublic. Ryanair chooses Marseille as south of France base and Jetairfly continues it's north - south routes into the winter. As there is now increasing competition from the resorts in Eastern Europe and the growing influence of low cost airlines, the French Riviera is now struggling to maintain market share in the tourism industry. The strong Euro had not helped and Eastern Europe has more availability and is less expensive. Tourism industry experts are a little more optimistic after the 2005 season. In Nice for example there was a 4 per cent increase in hotel guests in July compared to the same time in 2004 according to the Syndicat des hôteliers Nice Côte d'Azur. They indicated that the hotel occupancy in Nice was at around 70/75 per cent in 4 star and deluxe hotels and 80/85 per cent in other categories. There are several factors contributing to the upward trend. There are now low cost routes into Nice from Bratislava and Budapest and the Euro is not quite as strong as it had been. The region has been using the Internet more for promoting travel packages with the annual events like jazz festivals and there has been a change in which hotels have adapted to the needs of their customer base. and Cannes reporting a 55 percent cent rise in passengers. They still have a long way to go before they regain their previous dominance and the job now is to keep people interested.